Does your loved on have complex medical needs but you don’t want to move them into a nursing home? Is assisted living an option for you? 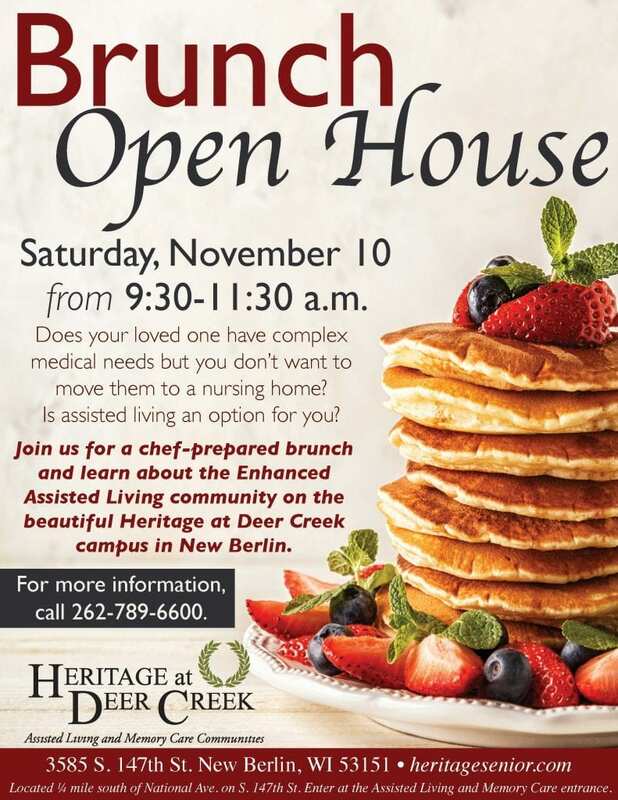 Jo9i us for a chef-prepared brunch and learn about the Enhanced Assisted Living community on the beautiful Heritage at Deer Creek campus in New Berlin.